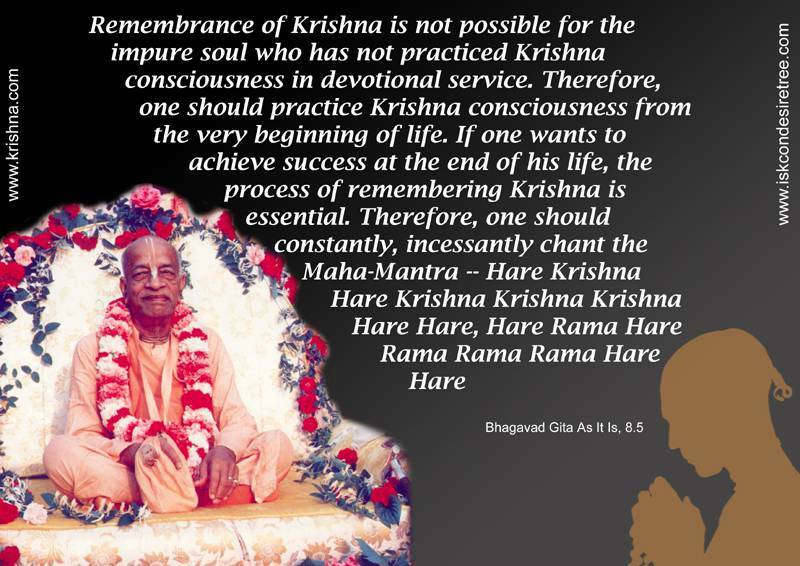 There is no question of accepting or not accepting Krishna consciousness. 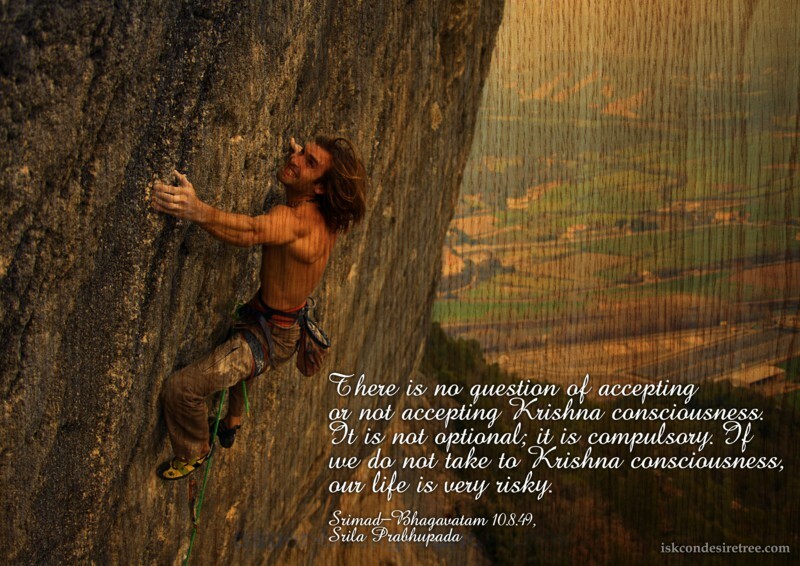 It is not optional; it is compulsory. 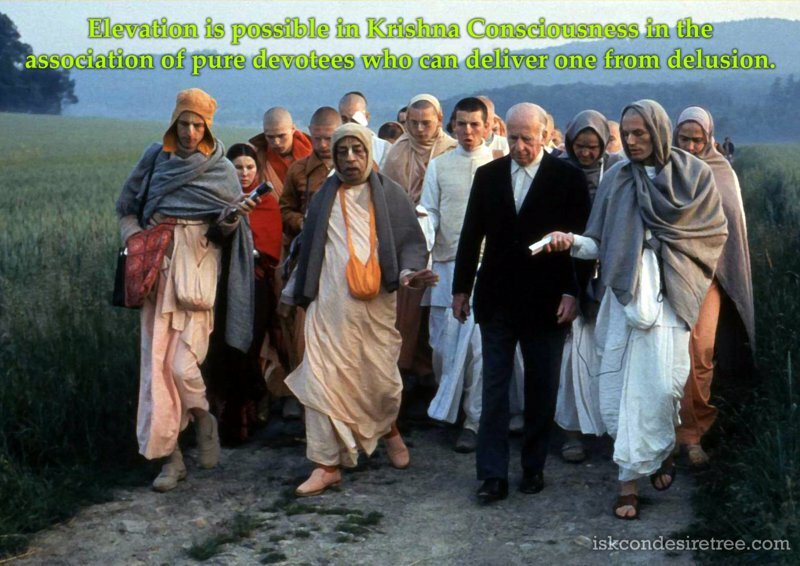 If we do not take to Krishna consciousness, our life is very risky. 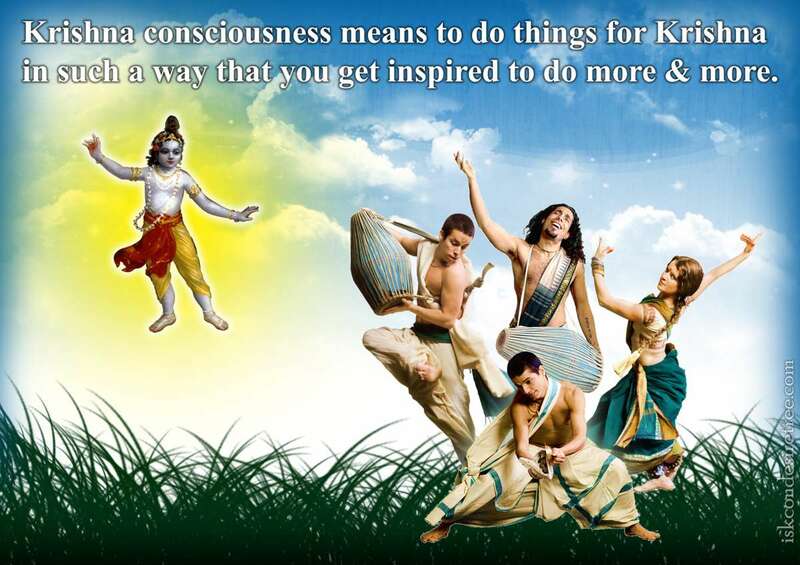 Simply we have to desire to please Him (Krishna) and not desire anything for ourselves. Then we become simply instrument for his will. 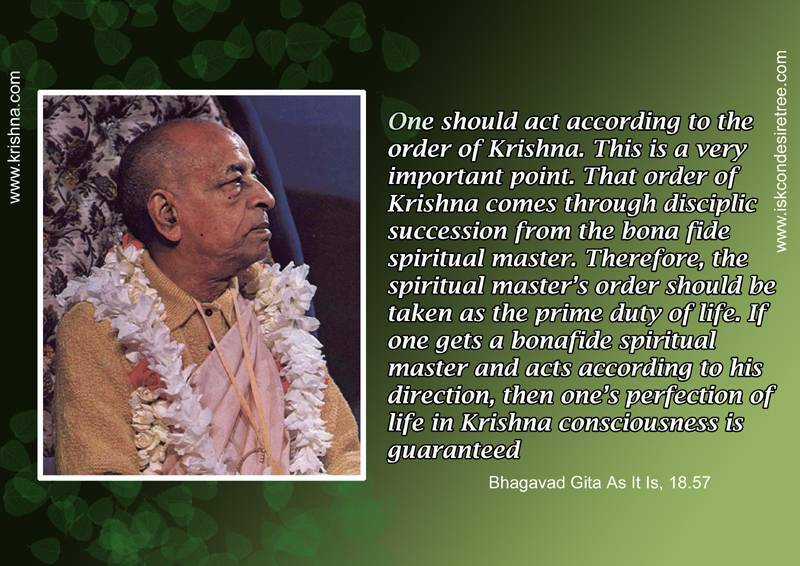 This is the important essence of Krishna consciousness. 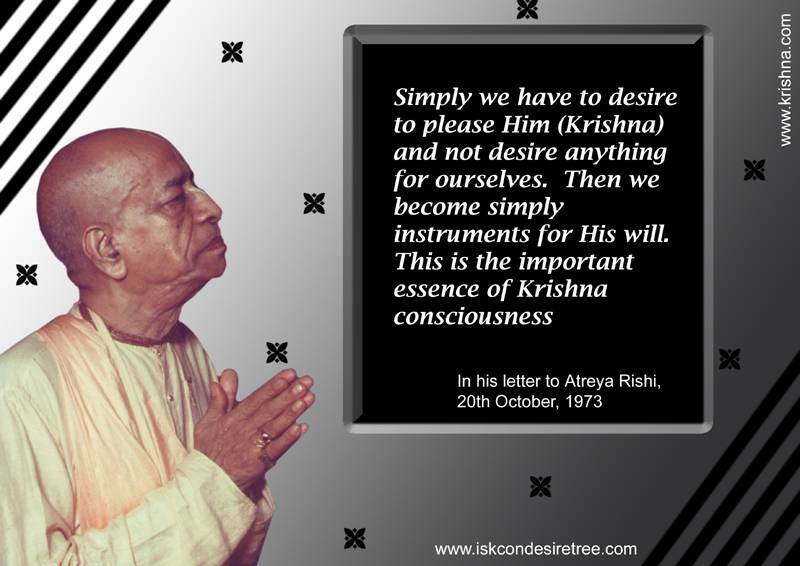 — In his Letter to Atreya Rishi, 20th Oct, 1973.